Finnish sport is living, topical and shared by all. We boldly open new viewpoints to the past, present and future of sport. Our services enliven Finnish culture. is the only museum in Finland dedicated to general sports and physical activity. The Sports Museum maintains the national collection of Finnish sports and physical culture, preserves the archives of major Finnish sports organisations and co-ordinates the activities of other sports-related museums in the country. 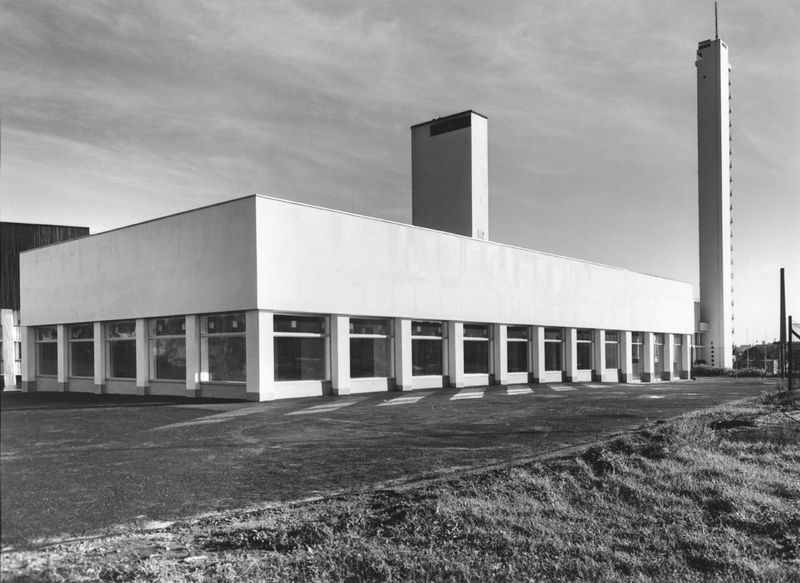 The Sports Museum is administered by the Sports Museum Foundation of Finland, established on 2 March 1938 to preserve, research and display material relating to Finnish sports and physical culture. The Sports Museum Foundation receives funding from the Ministry of Education and Culture. 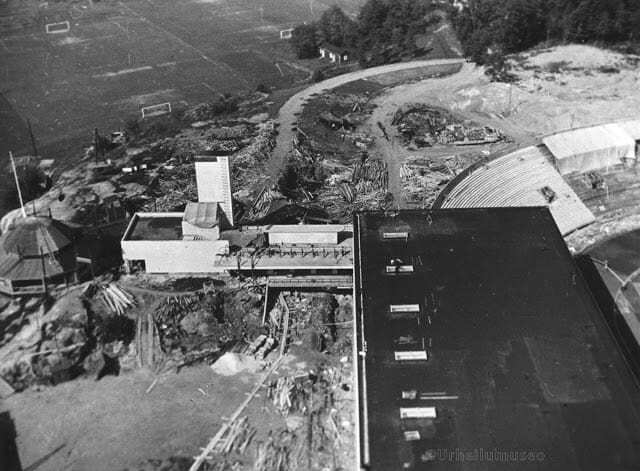 Sports Museum under construction in 1934–1937. Sports Museum in the early 1940’s. 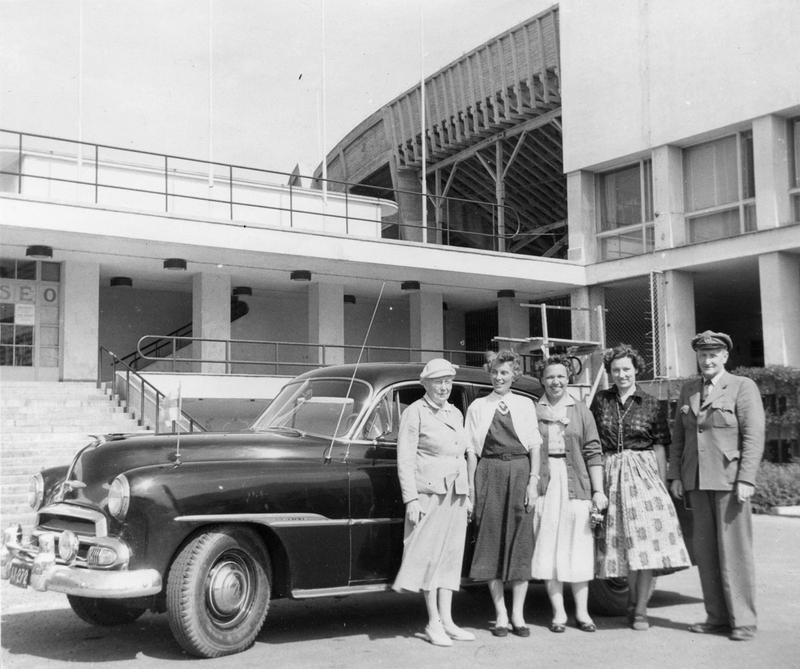 Main entrance of the Sports Museum in the early 1940’s. 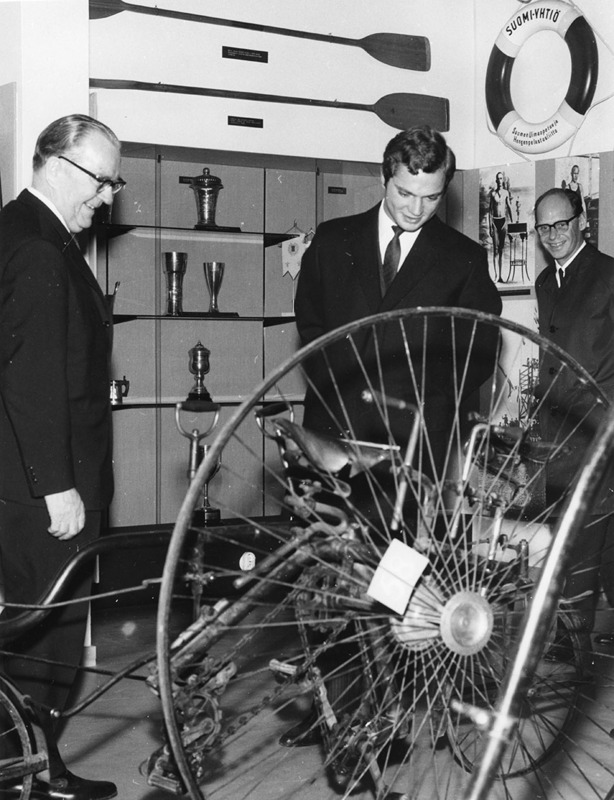 Carl Gustaf, Crown Prince of Sweden, visiting the Sports Museum in 1968. 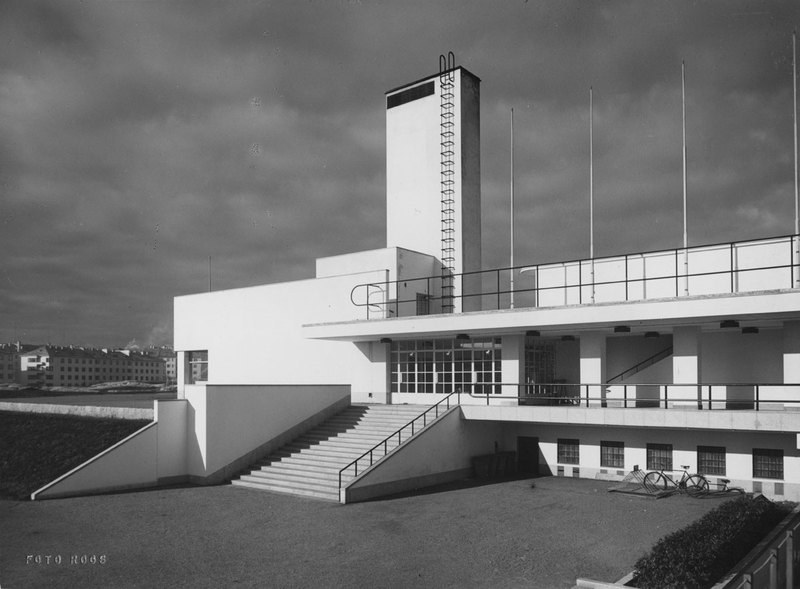 The Sports Museum was first opened for public on 8 August 1943. 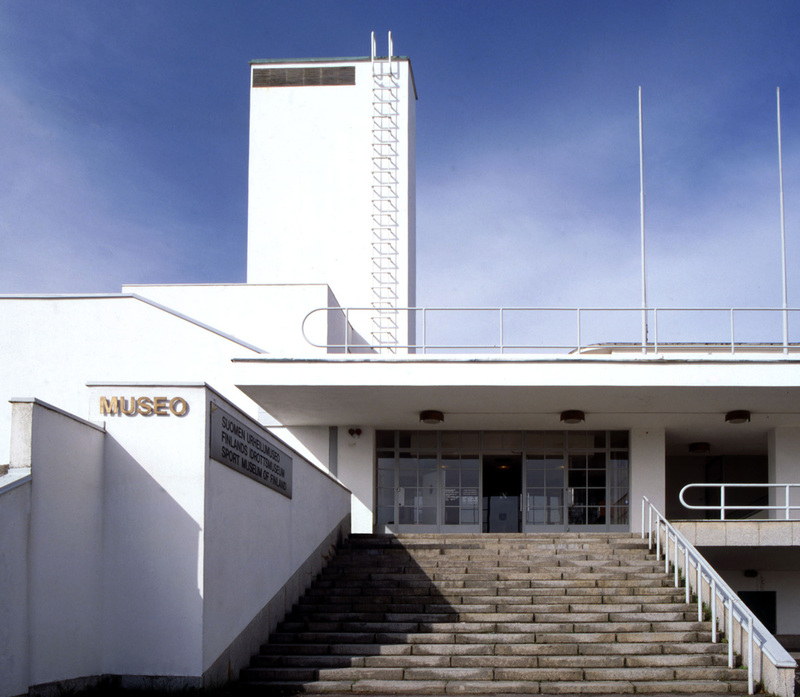 The Museum has occupied the western wing extension of the Helsinki Olympic Stadium since the beginning with only two exceptions. 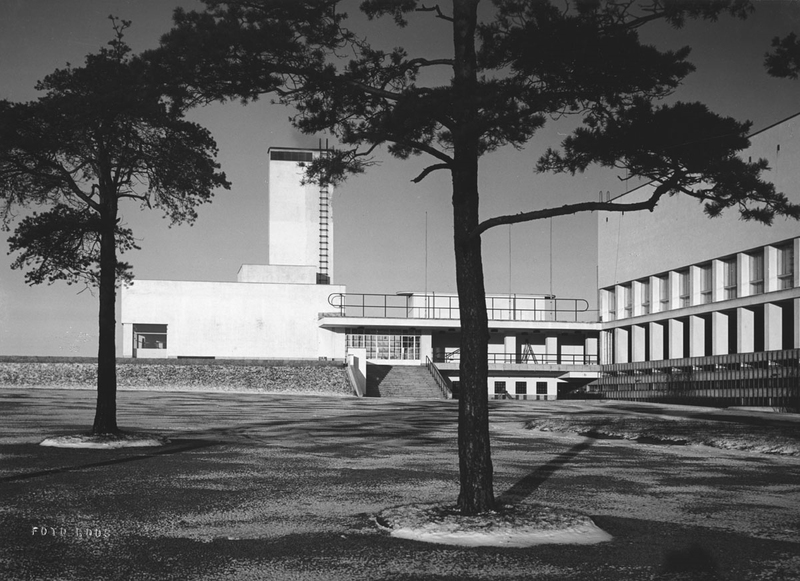 In June and July 1952 the premises served as press center of the Helsinki Olympic Games. In October 2015 the Olympic Stadium was closed for the duration of major renovation works, and the offices, archives and library of the Sports Museum were moved to a temporary location. The present reconstruction is the fifth in the history of the Sports Museum: the premises have been extended before in 1963, 1982–83, 1991–92 and 1997–98. The Museum will be opened again in the renovated premises in 2020.